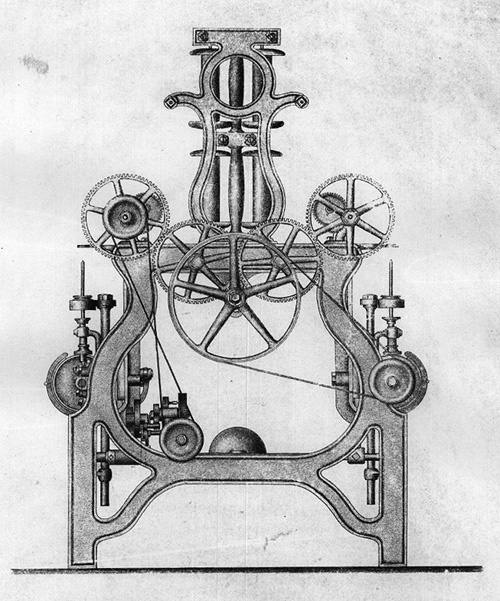 Engraving of throstle spinning machinery published in 1813 and appearing in Abraham Rees. The Cyclopedia; Or, Universal Dictionary of Arts, Sciences, and Literature. Vol. 2. London: Longman, Hurst, Rees, Orme, & Brown, 1820. 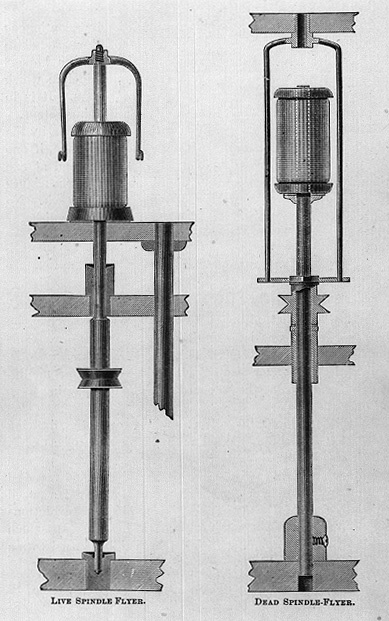 Illustrations of spindle technology from William F. Draper. 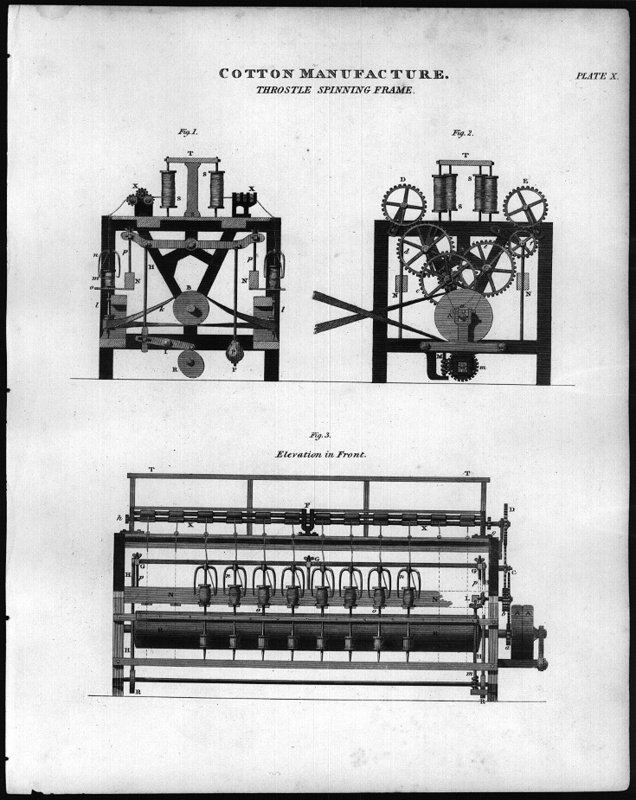 The Development of Spindles: A Paper by Gen. William F. Draper, Read at a Meeting of the New England Cotton Manufacturers' Association, April 29, 1891. [N.p., 1891]. 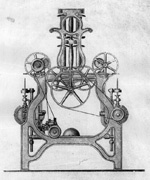 Detail from Ring Throstle, McCulley's Patent Livespindle, by the Lowell Machine Shop, lithograph by Tappan and Bradford, ca. 1850. 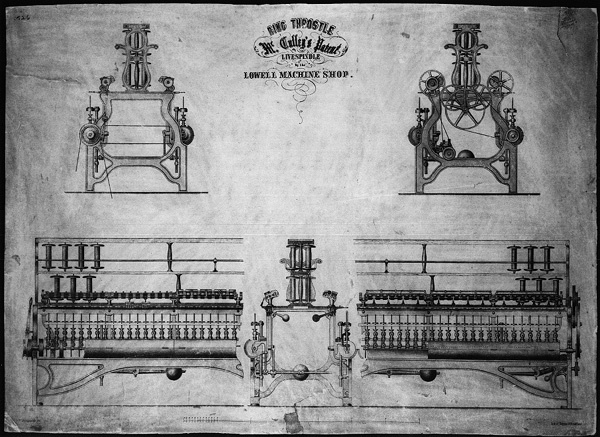 Ring Throstle, McCulley's Patent Livespindle, by the Lowell Machine Shop, lithograph by Tappan and Bradford, ca. 1850. 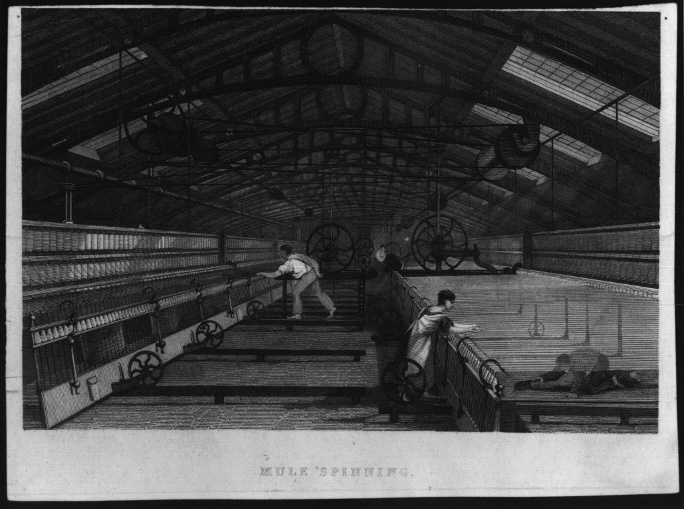 Early illustration of mule spinning machinery, so called because it was a hybrid of Hargreaves' spinning jenny and Arkwright's flyer frame.